“AristoTech Medical Forgings and Services” specialises in contract manufacturing of orthopaedic devices and medical products, implants and instruments worldwide. 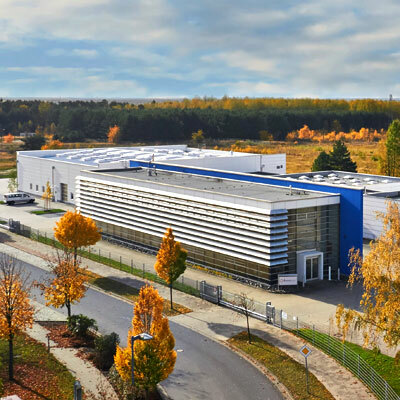 Based near Berlin, Germany, the company supplies OEM companies with standard and customized medical devices that meet ISO guidelines for safety, quality and efficiency. AristoTech Industries offers expertise from design and development, engineering and product testing through finished goods manufacturing to logistical services as cost effective solutions. Standard product designs can be chosen off the shelf, saving costs and time for processing customized tools. AristoTech´s expertise includes hip stems, acetabular shells, femoral heads, knee & shoulder components, osteosynthesis plates as well as foot & ankle devices and bone screws. Depending on customer´s requirements the company supplies semi-finished, finished, packed and / or sterile products and offers all logistical services. State-of-the-art machining technologies include closed-die forging and bone in-growth coating, with 3D metal printing in the near future. AristoTech has long-term, global experience in the manufacture of medical products and processing of implants. This expertise, and a highly qualified engineering team, offer cost-effective, German-made medical solutions to the world.